Wiltwyck Golf Club is pleased to announce the addition of local favorite Jack Breno to its team of golf professionals. Mr. Breno has had a long and rich history in the area. 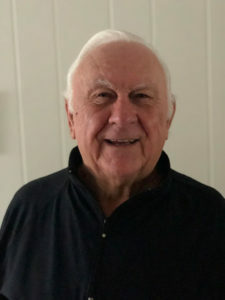 Head Golf Professional at the Nevele Country Club for over 30 years as well as time at the Shawangunk Country Club and the Hudson Valley Resort, he is a proud member of the PGA of America and was inducted into the Half Century Club. Jack’s most recent position was as a teaching professional at Rondout Golf Club. His many accomplishments include bringing architect Tom Fazio to the Nevele for a major course redesign, serving as co-chairman for the Carole Baldwin Breast Cancer Golf Tournament, and he has been a major fundraiser for the BC Open – now known as the Dicks Open. One of Mr. Breno’s biggest joys is teaching the younger generation. He has been working with juniors from his early days. Seeing their progress and love for the game developing makes it all worthwhile to him. Jack is available for lessons at $70/hour or $45/half-hour. His Junior rates are $12/class and $55/5 classes. To book lessons with Jack Breno, please contact us.